Summer is the perfect time to take on a home renovation project to upgrade your personal space. Why? Because the weather is warm and you can finally get outside to enjoy the fresh air and sunshine. Spring fever brings on mass waves of cleaning, decluttering and simplifying the space within our homes. The summer brings the need to spend time outside and enjoy our outdoor space as often as possible. There are several simple projects that homeowners can DIY to save both time and money, and improve their outdoor living space. Since Canadians spend a lot of time inside during the cold winter months, summer is the perfect occasion to spend as much time as possible outside. If you don’t have a green thumb, it’s ok; all you need to do is visit your local garden center and buy potted flowers. It’s much easier to transplant flowers that are already in bloom than it is to try and grow them from seeds. Take care of your grass with regular fertilizer and water to help it grow to the greenest shade. If you have the extra money, adding in some greenery such as shrubs, hedges and trees can really transform your backyard. Our homes really take a beating from the harsh winter weather. Summer is the perfect time to assess the damage and give the exterior of your home a facelift. Adding a fresh coat of paint to the exterior of your home and the surrounding fence can help brighten up and add value to your property. If your home is brick, you can look for smaller projects, like painting porch columns or doors. 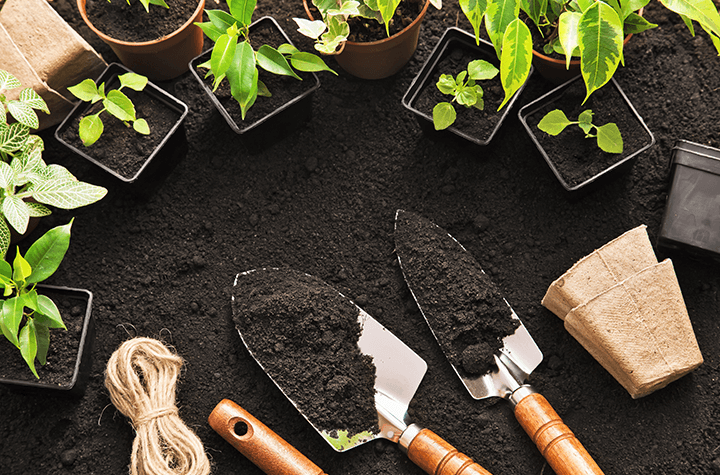 Just as planting flowers in your backyard gives homeowners and their guests something pretty to look at, creating a living space can also help transform your backyard. Create a place where you – and visitors - want to be. This may be a deck, a gazebo or a covered porch. If money or ambition are in short supply for a big project like that, finding a shady stretch to hang a hammock can be a nice compromise. Farm to table is very popular because the food is of high quality and organic. But what if you didn’t even have to go to the grocery store to buy fresh vegetables? What if you could just walk to your backyard and pick a tomato off the vine or pull a carrot from the ground? Planting a vegetable garden (or herb garden if you want to start smaller) is a great way to enjoy fresh vegetables all summer and save some money at the same time. It also gives you a way to keep busy outside during the summer.